This entry was posted on April 17, 2019 by Amberley Publishing. It was a great pleasure to spend the summer heatwave of 2018 photographing the ‘highways and by-ways’ of Southwark and Blackfriars for Amberley’s Secret local history Series, and discovering gems which lie behind façades I had casually passed by in the past, such as the massive Universal Testing Machine constructed by David Kirkcaldy in The Grove, Southwark. 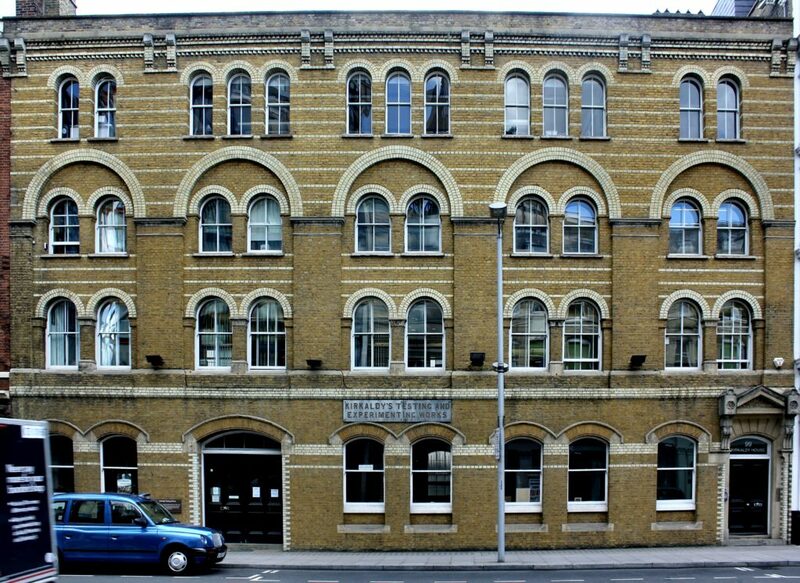 Kirkcaldy’s Testing Works relocated to 99 Southwark Street in 1874, southeast of Blackfriars Bridge, where the machine may be viewed today in what is now Kirkcaldy’s Testing Museum. This pioneering firm assessed component parts to be used in the construction of London Bridges such Battersea and Hammersmith, the old Wembley Stadium in 1923, and Skylon, a steel “Vertical Feature” built on the South Bank for the Festival of Britain in 1951, which appeared to float above the ground with no perceptible means of support – like the post-war economy, according to a popular joke – dismantled in 1952 on the orders of Winston Churchill, who deemed it too expensive to re-erect elsewhere. The company’s protocols combined microscopic analysis with robust physical stress-testing, stretching and twisting materials to breaking-point to measure the forces entailed. It also contributed to inquisitions into accidents, such as the Tay Bridge disaster of 28 December 1879, when the first rail bridge across the Firth of Tay between Wormit in Fife and the city of Dundee collapsed while a train was crossing from the South during a fierce windstorm, leaving no survivors. David Kirkaldy was himself born in Dundee in 1820, and prior to his migration to Southwark worked for Robert Napier and Sons shipbuilding works between 1843 and 1861. A short distance eastward along Southwark Street stand two further examples of mid-Victorian buildings of industry, the Menier Chocolate Factory (now a vibrant arts complex) and the elegantly neo-classical Hop Exchange, both featured in Secret Southwark and Blackfriars. 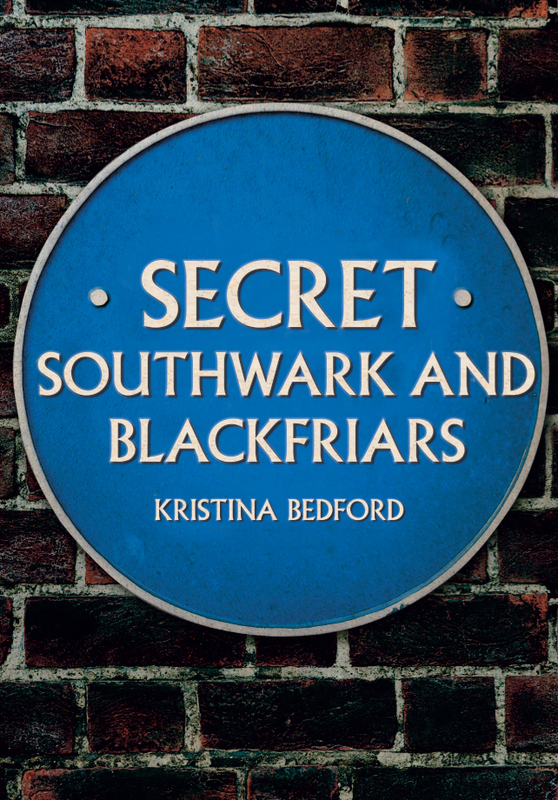 Kristina Bedford's new book Secret Southwark and Blackfriars is available for purchase now.